Workers who face potentially hazardous situations deserve the best protection possible. This is why MSA, a global leader in safety equipment, focuses on ongoing innovation. An example of this approach to technology is MSA’s ongoing development of its multi-gas sensors. “We work tirelessly to build smarter, better gas-detection instruments,” Marketing Manager Ahmed Elzoubi commented. 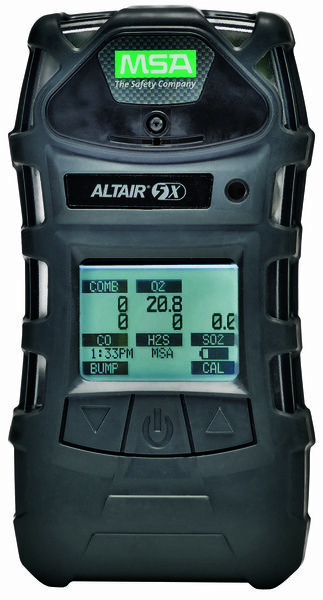 The company first introduced its XCell sensor technology with its Altair 4X instrument, and has now added advanced PID (photo-ionisation detection) with the Altair 5X. “This sets the bar even higher for sensor technology in a six-gas portable instrument for VOC (Voltatile Organic Compound) detection,” Elzoubi highlighted. Based in Dubai, Elzoubi oversees the oil, gas and petroleum (OGP) market segments for MSA in the Middle East, Africa and India region. Visiting key customers in South Africa recently, Elzoubi said that innovation was critical to MSA’s ongoing success, as it sought to refine its products and introduce the latest technology to its global customer base. “It is important that we engage with our customers continuously in order to keep them up to date with our newest developments. This not only allows us to understand the specific needs of our customers even better, but gives us a broader insight into specific markets and industries,” Elzoubi explained. While about 90% of MSA’s global business is derived from this sector, mining plays a major role in South Africa, which gives the company to focus on head and fall protection as well. “The civil defence and military segments also represent major opportunities for growth in Africa as a whole,” Elzoubi revealed. In terms of global marketing, the company has expanded its product-line manager function to include segment and strategic marketing managers. The former look at specific product ranges only, while the later take a broader view of entire industries worldwide, channelling MSA’s product development efforts. MSA Africa has been the world’s leading manufacturer of high-quality safety products since 1914. MSA products may be simple to use and maintain, but they’re also highly-sophisticated devices and protective gear – the result of countless R&D hours, relentless testing, and an unwavering commitment to quality that saves lives and protects thousands of men and women each and every day. Many of MSA’s most popular products integrate multiple combinations of electronics, mechanical systems, and advanced materials to ensure that users around the world remain protected in even the most hazardous of situations. MSA’s dedication to safety has been the key to its impressive year-over-year growth. In eight of the past ten years, MSA has achieved record growth numbers, with annual revenues of more than US$1 billion.